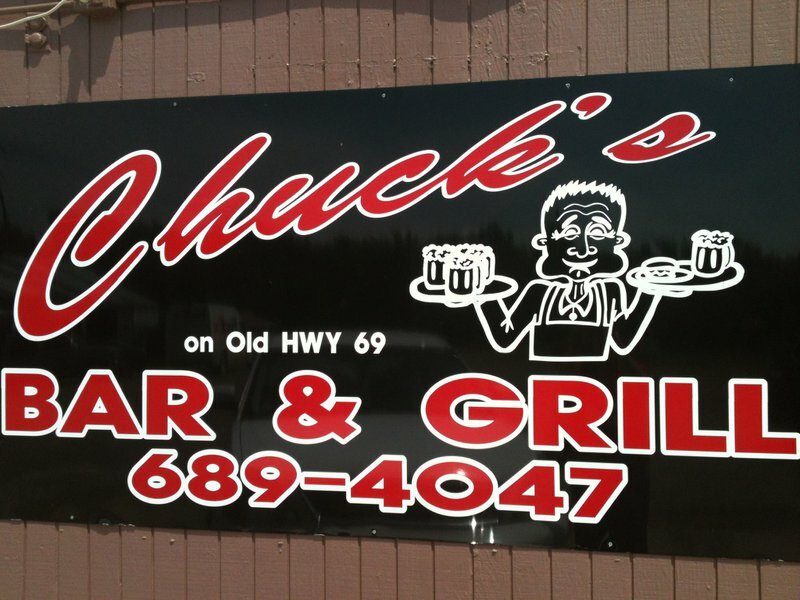 Chuck's Bar & Grill, located between Eufaula and Checotah, serves mouthwatering lunch and dinner options in a cozy setting. Stop by this quaint restaurant to enjoy hand-battered onion rings and mushrooms alongside your favorite cut of steak. Chuck's features daily lunch and dinner specials such as ribeye on Thursday evening and prime rib on Saturday evening. Stop by Chuck's to sample delicious menu items such as burgers, shrimp, frog legs, lamb fries, beef fries, chicken fried steak and many other tasty dishes. Located between Eufaula and Checotah: From US-69 exit on Texanna Rd, turn left on Old Hwy 69 and drive 1/4 mile north. Located on right.